If mice make their way into your home, it’s important for you to get them out as soon as possible. 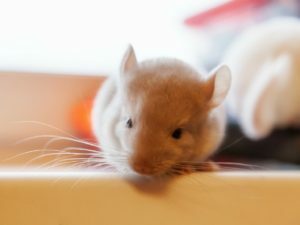 Although some see mice as cute critters to keep as pets, wild mice should never be handled. They are small, but in numbers, mice can do lots of damage. That’s why as soon as you discover mice in your home, call the experts at Critter Control® Miami to remove them properly. The sooner you get the mice out of your home, the less costly the damages will be. Call on Critter Control® Miami to remove the mice in your home quickly and safely using our four step method. Inspection- When you call for your free consultation, one of our expert technicians will stop by to size up the severity and location of the infestation. Removal- Once the severity infestation has been determined, our technicians will work with you and your unique situation to come up with the best method of action to remove the mice. Restoration- After all the critters have been properly removed, we’ll clean up after any messes they’ve made, including re-installing your attic insulation if necessary. Exclusion- When your home is finally back to normal, we’ll make sure all entry and exit holes the mice may have made are sealed up to prevent future infestations from occurring. Keep you, your family, and your home safe from these pesky little critters. Call us today to schedule your free consultation at 305-258-3587.